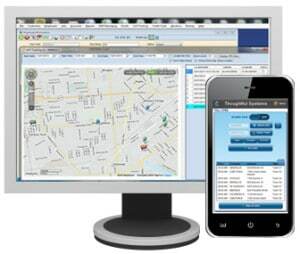 Scheduling Manager software for liquid waste management businesses enables you to streamline your operations so that every minute of your day is spent maximizing your profitability and increasing sales! Any liquid waste management business owner knows that it is an incredibly complex industry. The removal, processing, and disposal of liquid waste materials involves highly technical processes and a lot of expensive equipment, not to mention the need to navigate a maze of convoluted government regulations. While some liquid waste businesses specialize in specific kinds of liquid wastes and disposal methods, many companies provide a full range of waste management services for municipalities and businesses. These might include processing, transportation and disposal of fats, oils, and greases from restaurants, septic system and sanitary liquid waste cleanup, industrial wastewater disposal, and many other services. This generally results in very high costs and thin profitability margins for liquid waste management business, as they have to invest in the costs of the disposal fees, as well as the time, effort, and money spend transporting the waste to sanctioned liquid waste disposal sites, and the ongoing costs of maintaining expensive equipment. You have invested in equipment for your business. 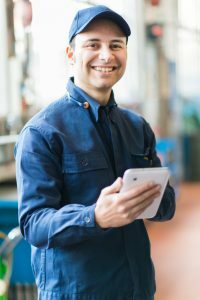 If that equipment is idle, or under-utilized, and if you are not booking as many jobs as possible because of inadequate management tools, then you can look forward to increasing your efficiency, making better use of equipment, minimizing paper work and having the best job scheduling tools available in any software, when you upgrade to Scheduling Manager software. Liquid waste management is a highly mobile business. Your employees are always on the move and staying in touch with them is important. Our SM-Mobile App keeps each technician current with their work schedule and the client’s needs. Efficient vehicle management is very important for our liquid waste management customers. In Scheduling Manager, you simply drag and drop vehicles onto jobs to assign them. When the vehicle is assigned to the job, you will be prompted to select a driver for that vehicle. Our software will verify that the driver has the appropriate operating credentials for the assigned vehicle and conveniently alert you if they do not. The Equipment Tracking Module manages all your equipment and tracks each piece of equipment at each job site. Maintenance services performed and parts information for each piece of equipment is also recorded and tracked in the Equipment Module. 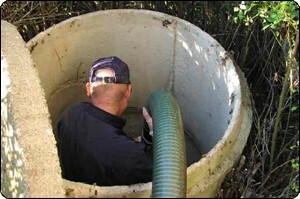 Regular inspection and cleaning of drains and septic tanks is a significant part of any liquid waste management business. Set up the Scheduling Manager to automatically send reminders to all your waste management customers. Choose to email, mail or text your customers with regular service offers and appointment reminders.